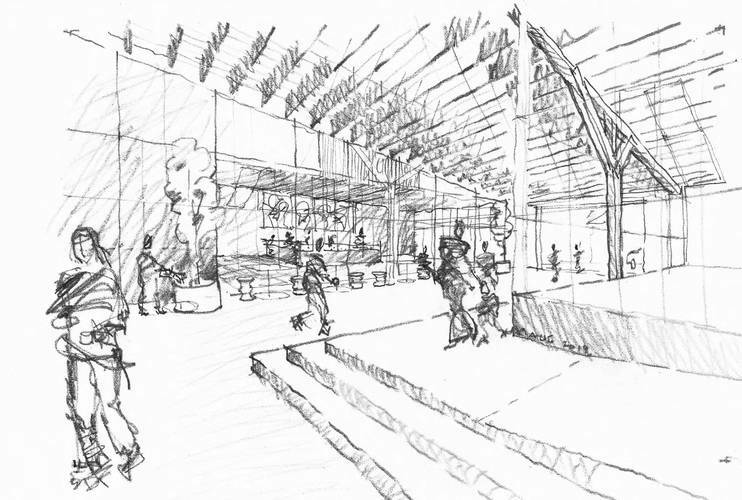 Sketch of Indoor Street and Cafe space. David Bogle, pencil & paper, 2015. Existing 1920's warehouse and transformation to Indoor Street circulation space. 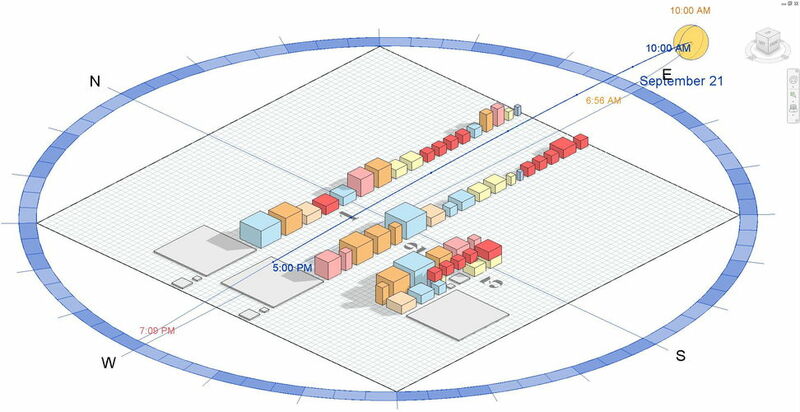 Building Information Model (BIM) programmatic analysis. Existing 1920's warehouse and trasition to Indoor Street and Cafe space.